Looking to let your hair down and rock on Friday night? 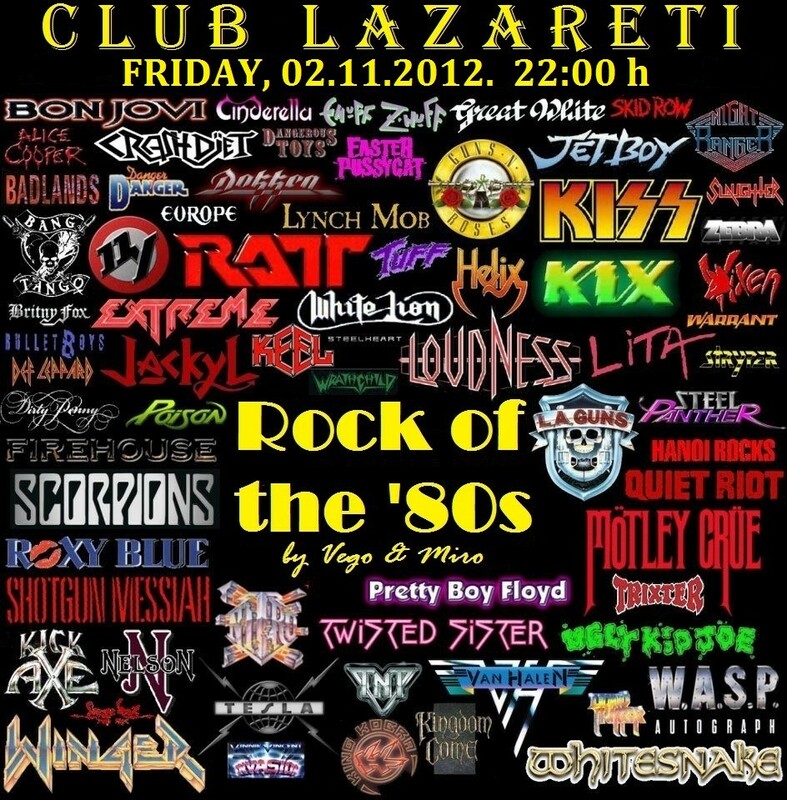 ‘Rock of the 80’s…and more’ at Lazareti will provide the answer. The biggest rock songs of the 1980’s from Whitesnake, Motley Crue, Guns and Roses and many more will be played by DJs Miro and Vego. Doors open at 22:00, happy hour until midnight.